It’s easy to identify a place by a particular building or landmark. For instance, Egypt will always be identified with the pyramids or France with the Eiffel Tower. 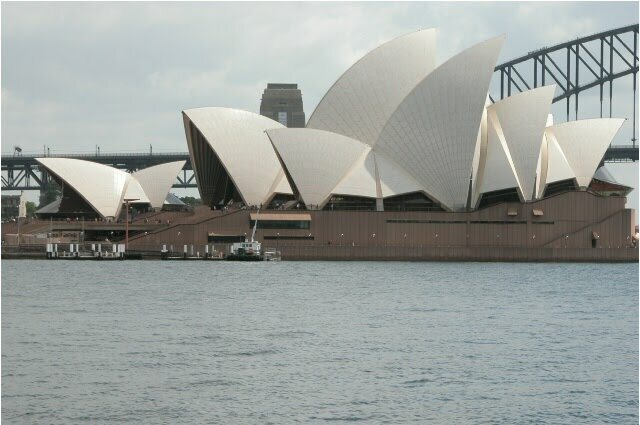 The very same can be said for Sydney, Australia with the Sydney Opera House as one will forever be linked with the other. As such, when I arrived in Sydney, I made straight for the second-most photographed building in the world, the Taj Mahal being the first, to see what all the fuss was about. I approached the building from the south through the Sydney Botanic Gardens, but caught my first glimpse as my flight landed. Instantly I was impressed by what I saw and even more eager to make my way to see inside. Unfortunately sticker shock happens to be an item for contention with the tours, but I quickly justified it as one of those “once in a lifetime” experiences. 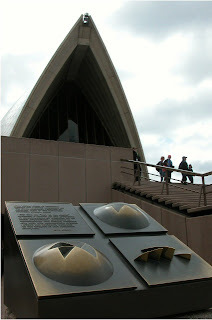 Danish architect Jorn Utzon conceived the design idea by peeling an orange, or so our tour guide told us. It’s an interesting concept but one that can easily be mistaken for the sails of a ship, the waves of the ocean, or any other idea that may pop into the mind through the inspiration the experience may create. Walking through the building is really a special opportunity for anyone, like myself, that doesn’t have the means to see it daily. Our guide explained the history of the design, construction and completion of the Sydney Opera House, but the moment stuck with me more than anything. I appreciated what he told us, but when I saw the view of the Sydney Harbor Bridge from the north atrium of the Opera House, I couldn’t help but be distracted. The same held true as I walked in the 2,700 seat main concert hall. For no particular reason I had always assumed that the Opera House had only one performance area. I was amazed by the size of the building and all of the different theaters. I never really realized what it held or how it could look on the inside. My imagination was always captured by the exterior and firmly held there until the day I set foot inside. In regards to the outside though, the white exterior interestingly doesn’t require any cleaning maintenance, something I could only hope for in my bathroom. 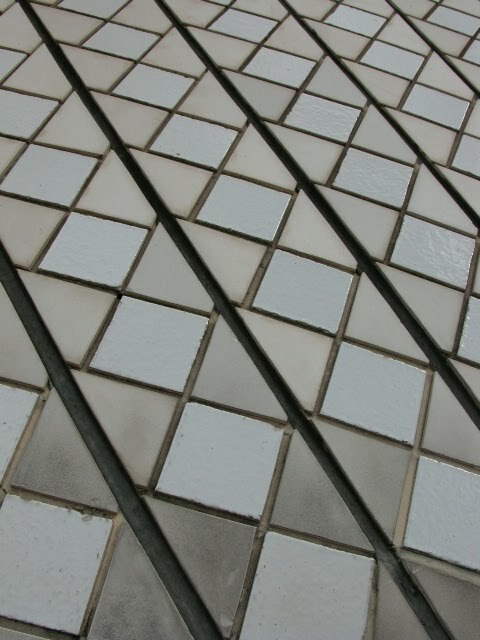 This entranced me for several minutes as all I wanted to do was touch the smooth tiles. I couldn’t believe that something designed for sound interested me more by touch, as well as the smell of the surrounding harbor, than anything I could’ve heard inside. It was the moment I’ll remember more than any other on my visit to the iconic landmark that is the symbol for both city and country.